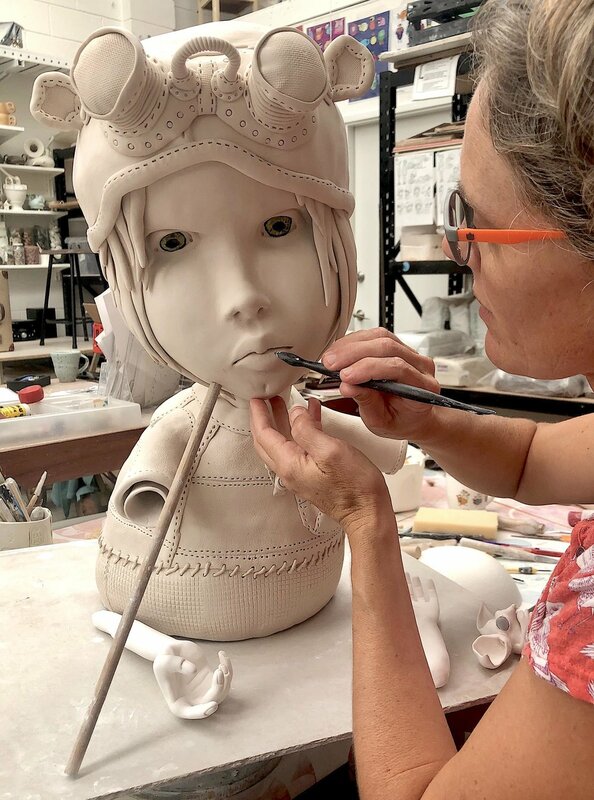 In November 2018 I had the great privilege to work with Internationally esteemed figurative sculptor Cristina Cordova at Gaya Ceramics centre in Ubud Bali. I am so grateful for all the tricks and advice she generously shared. Thank you to the gorgeous Saffi Kakulas for sharing this image during a creative project we collaborated on. ‘Share my Table’ exhibition at #australianceramicstriennale PW1 Hobart 1-4 May, featuring the evocative porcelain works of Shannon Garson. ‘Share my Table’ exhibition at #australianceramicstriennale PW1 Hobart 1-4 May, featuring these stunning artworks by artist Avital Sheffer. A quick rest while we map out the position of each piece of ‘Our strangely normal home’ ...before we wall mount.